Globacom is already undeniably the number one telecom in Nigeria when it comes to data services. But Glo is unrelenting in breaking the records it has set. The introduction of the Glo Oga SIM a few months ago was an amazing wonder to the telecom world. Ashok Israni, Glo’s Regional Chief Marketing Officer, was right in asserting that the Oga SIM is currently the best offer in the market and that no other offer even comes close. With the Glo Oga SIM, Globacom not only beats the competition but further establishes itself as the king of data in Nigeria. 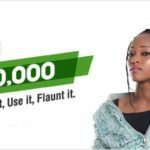 Obviously, Glo Oga SIM is a great offer but how does it work? What are the features and benefits of this offer? Glo Oga SIM sounds like an entirely new type of Glo SIM but it is not. It is simply any new Glo SIM since the offer began in August. However, the Oga SIM offers more interesting data benefits than usual Glo SIMs. 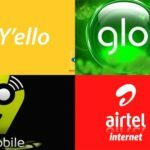 It offers 125% data bonus on all data plans purchased on the SIM (as opposed to the 25% bonus on normal Glo SIMs). You will even enjoy 15% extra on renewing your data plan. This means that an N100 data plan will have a total of 180MB, N200 data plan will have 472MB, N500 data plan 1.8GB, N1,000 data plan 3.6GB, N2,000 data plan 8.2GB, N2,500 data plan 12.9GB, N3000 plan 15.7GB, N4000 plan 22.5GB, N5000 plan 28.1GB and so forth. Moreover, not only new Glo SIMs will quality for the Oga SIM promo offers. Existing Glo customers who have never used data will qualify if they purchase data for the first time. 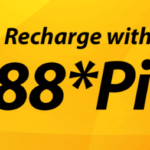 Also, customers whose last data plan expired over 90 days ago will also qualify for the promo. Besides the huge increase in data bonus offered by Glo Oga SIM, it is exactly the same with normal Glo SIM. This means that you can use it to do anything you can use a normal Glo SIM to do. In other words, the Oga SIM can be gifted, shared, stacked, auto-renewed, and has the same cost as the normal Glo SIM. However, when gifting, the bonus received depends on the status of the giftee and not the status of the gifter. This means that if the giftee is not eligible for Glo Oga SIM benefits, the gift bonus will only be 25% of the data even if the gifter has the Oga SIM status. You can recharge Glo Oga SIM via *777#, the same way as any other normal Glo SIM. Sadly, the Oga SIM promo will last for 4 months. This means that it will end at the end of December 2018. You can hurry and get a new Glo SIM now to enjoy the offer while it lasts.